Rugby-based Stepnell has secured to the job to redevelop Northampton’s listed Vulcan Works factory to create spaces and workshops for creative businesses. Work is set to start on the £14m project for Northampton Borough Council next month. The project will involve a new three-storey building as well as refurbishing the Grade 2-listed former factory – once at the forefront of Northampton’s internationally-renowned shoe industry. The overall scheme will create 59 studios, workshops and offices available to let by creative businesses with the focus on start-ups and fledgling companies. The council predicts the facility will create up to 300 jobs in the first ten years, supporting up to 100 businesses. 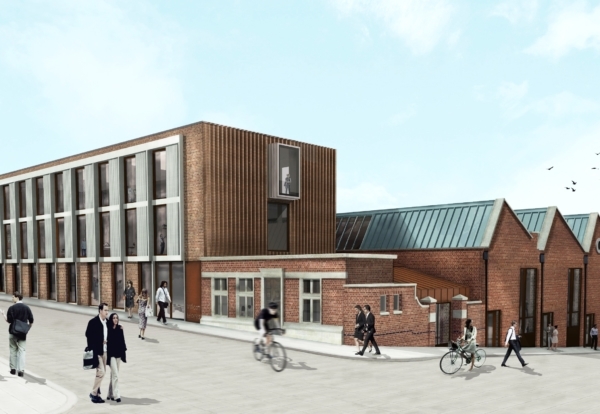 The construction of the overall scheme – which was designed by Zoë Skelding at Purcell architects, is expected to be complete in the autumn of 2020. A number of rundown outbuildings will be demolished to enable the construction of the brand-new three- and four- storey building in Angel Street. Cllr Tim Hadland, Cabinet member for regeneration and enterprise, said: “This scheme has been some time in the making and we are delighted that we should have contractors on site within weeks. “Northampton is one of the most entrepreneurial places in the country and Vulcan Works will provide space for new businesses to establish and thrive.